designed by Sarah. Huge congrats Sarah and big thanks to everyone who entered this week. Here's Sarahs layout - fab isn't it. This week we have a double sketch for you to chose from. Out theme for the week is 'Cities'. Entering is easy, just chose one of the sketches, create your layout and upload it to the linky thing below before midnight on the 24th March GMT. Our last weekly winner will be announced here on the blog on Friday 25th March along with our overall winner too. Cathy and I have created our double page layout using papers from the Cityscapes collection by Graphic 45 - perfect for your travel projects and chose London as our City. 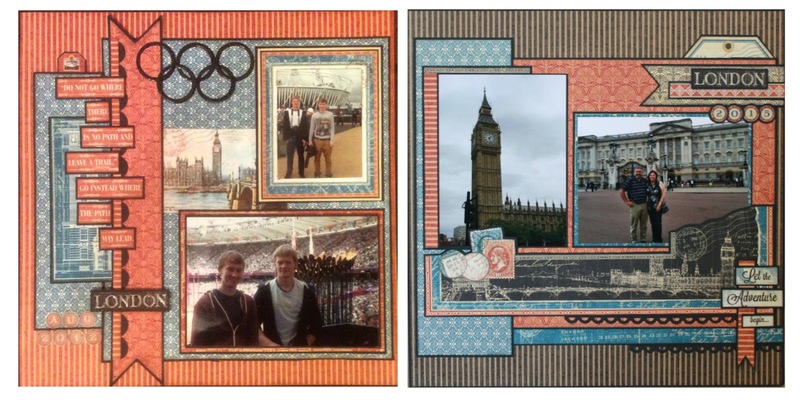 I used pics of the boys at the London Olympics for my layout on the left and Cathy used pictures of her trip to see the Queen and Big Ben, London on the right. Have fun everyone if you enter, and have a great weekend. I'm heading off to Cornwall after lunch and look forward to seeing everyone coming along to the Cornwall Scrapbooking show at Lanhydrock Hotel, Bodmin tomorrow. Would love yo join in Clare but i have trouble up loading pics on my old lappy, will get my son to look at it for me . Hi Clare, I expect you are on your way to Cornwall now, have a safe journey and a fabulous weekend. Congratulations to the two Winning layouts, they are fabulous, as are yours. I am in 'envy' mode, I really must get started. 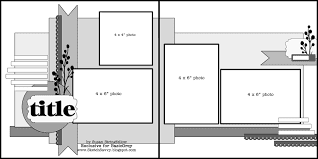 Thank you for sharing your beautiful layouts, Clare and Cathy. Really pretty layouts Clare. I thought I might be able to join in but have been too busy working on my other projects. 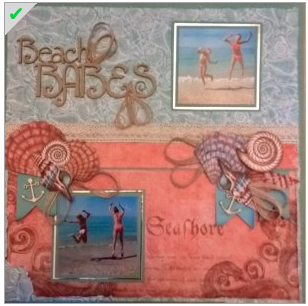 I'm not really a "scrapbooker" but these are quite pretty!!! Maybe someday!! !